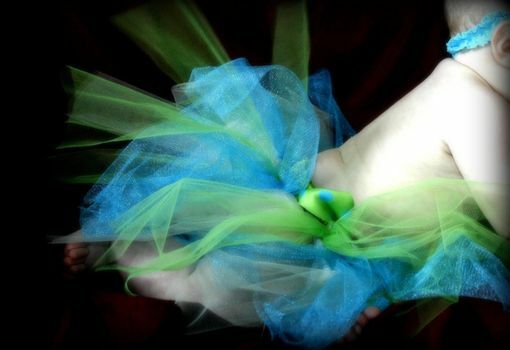 Crocheted Tutu Skirt, 2-3 Colors Of Tulle Choice, Includes Ribbon In Coordinating Color. ages newborn to 2 yrs. FREE USA shipping. This skirt comes with a 1.5" crocheted waistband and various tulle colors at 8" long, with ribbon around the waist. This fits sizes 0-24 months.